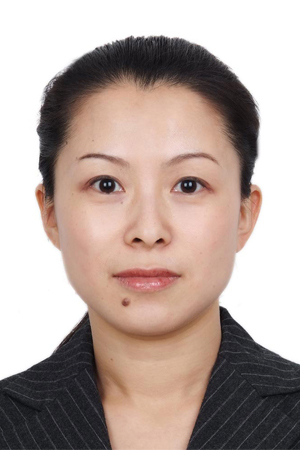 Ms. Liu Ge is CCTVNEWS Deputy Director. In a career that has spanned two decades with the TV network, Director Liu has tackled some of the most pressing issues of our time with production, original reporting, special coverage, long form interviews and in-depth investigations. During her tenure, she has been an integral part of taking English programming from 30 minutes a day to now a global 24-hour operation. CCTVNEWS, a division of China Central Television (CCTV), is headquartered in Beijing with broadcast centers in Washington and Nairobi. CCTV reaches a combined audience of well over 200 million people on television and online, and is enjoying significant audience growth, driven by growing international interest in The People’s Republic of China. As an executive at CCTV, Director Liu now has oversight for news output, including rolling news and flagship programs “News Hour” and “Asia Today,” the Anchor team, Broadcast Operations, Creative team, and the International HR team. She is also tasked with advising senior leaders on site selection strategy for future CCTV broadcast centers. As a journalist, Director Liu has traveled the globe delivering in-depth and breaking news reports, and has conducted interviews with major newsmakers. Assigned to London as CCTV’s foreign correspondent, she led the network’s coverage on the European debt crisis and delivered reports shedding new light on previously under-reported angles of the War in Iraq. Returning home to China after her European assignment, Director Liu was promoted to Chief Editor at Beijing headquarters, responsible for making final editorial decisions. In this role, she led the channel’s domestic reporting coverage to new heights by focusing on more breaking news. She also led the channel’s special live event coverage.